Halloween Raffle – Find all hidden Words! Happy Halloween! 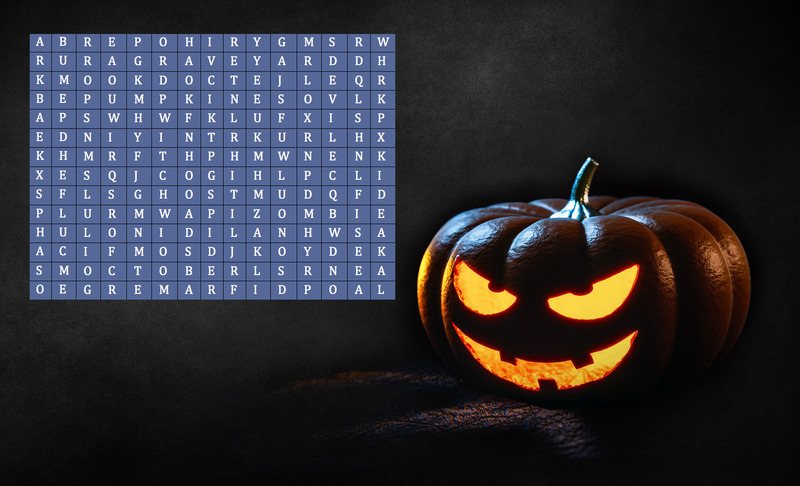 Are you in the mood for a Halloween word search puzzle? Find all hidden words to solve it. If you are lucky you are one of our 4 winners and 25€ will be added to your Clickworker account. Send us an email to contest@clickworker.com with the subject “Halloween raffle”. The prize money of respectively 25€ will be raffled to four winners and credited to their Clickworker accounts. Closing date ist he 11/02/2016. Have you already decorated for Halloween? Maybe our last-minute instructions can help you increase the scare factor in your home. Cover your work area with a tarp or something similar, and wear older clothing if desired. Pumpkin can leave some nasty stains. 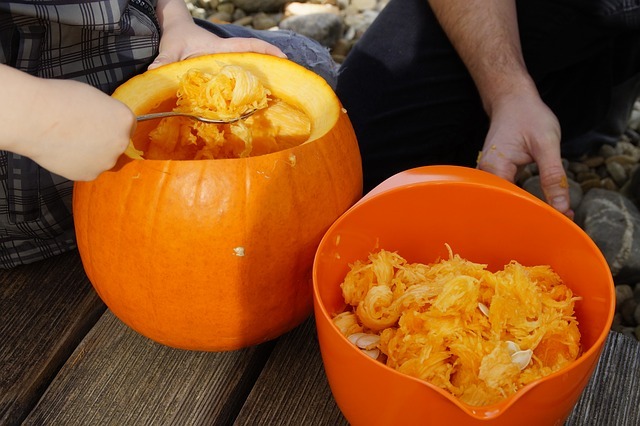 Cut the top of the pumpkin off with a sharp knife, where you want the lantern opening to be. But be careful not to damage the top, so it can be placed back on the finished lantern as the “lid.” The form of the opening can vary, so whether it is round or jagged is up to you. 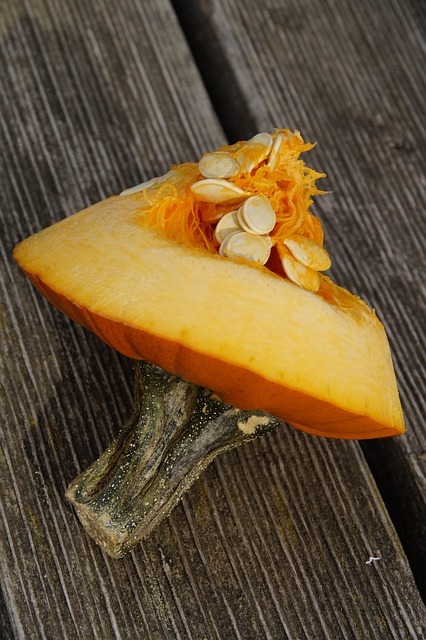 Remove the loose fruit pulp and seeds from the lid and the pumpkin itself using the spoon. Those of you who would prefer not to have your hands stained should wear rubber gloves for this step. 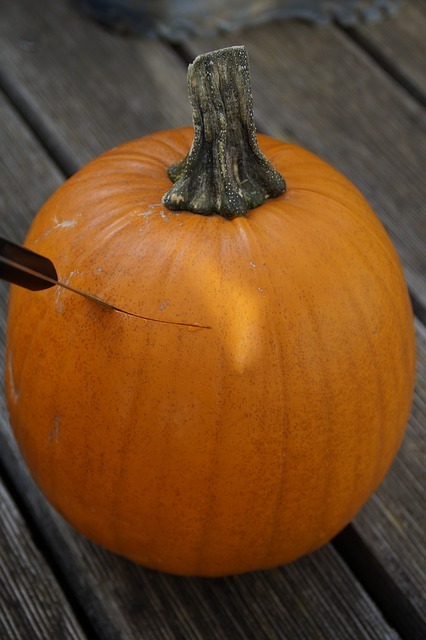 Now scrape as much of the solid pulp from the inner walls of the pumpkin as possible. Doing this will help keep it fresh longer. Now the pumpkin has been prepared, and you can sketch your desired form or “face” on the pumpkin with the pen. Done? 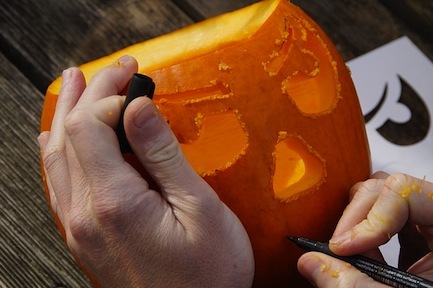 Now carefully cut the contours into the pumpkin with the knife. The loose pieces can then be gently pushed out and removed. Put a tea light candle inside and place the Pumpkin Lantern on your window sill! 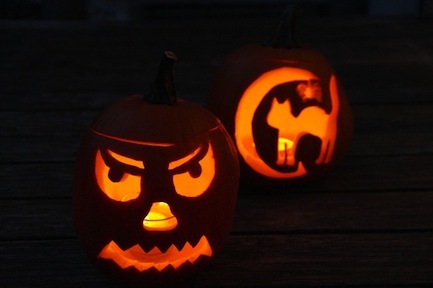 Halloween is coming soon, and clickworker is all about pumpkins this year. 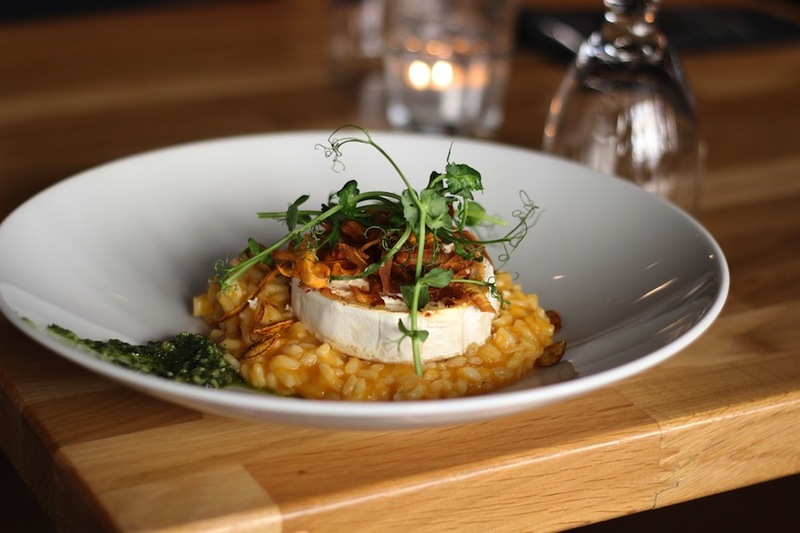 Today and each of the next 2 days, you can look forward to a new blog post to get you in the mood. Of course there’s also something to win. ;) So check back regularly! 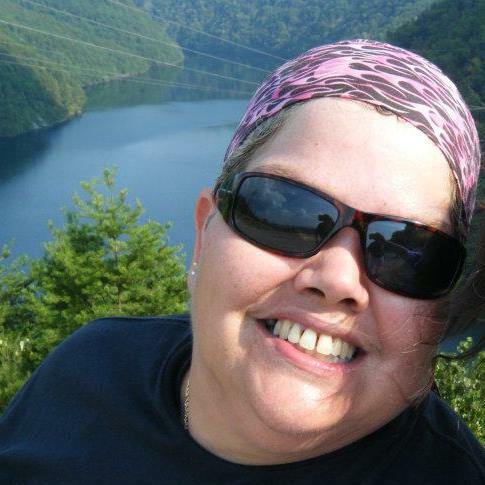 I began working at home about 5 to 6 years ago full time. The company I was working for outside the home closed their doors and I needed to find something to do. I was doing surveys and found them to be boring and didn’t bring in much income. I read blog after blog looking for something else to get into. I read about UHRS and decided to give it a try. It was first with another company and when that contract expired, I came to clickworker and have been here ever since.